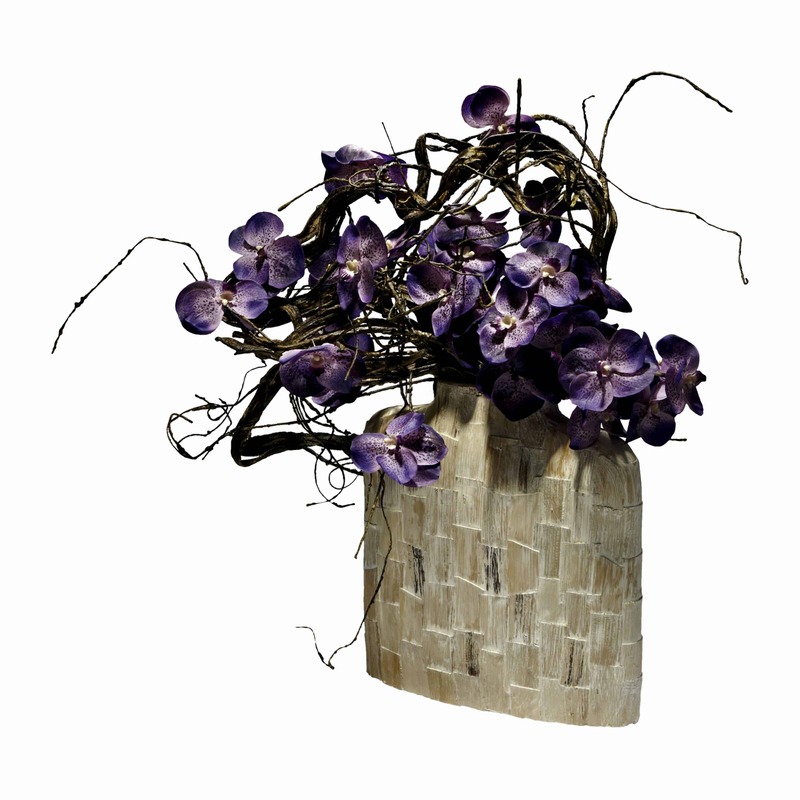 Effortlessly simple and elegant design of mauve cymbidium orchids housed in a beautiful eggplant shaped white ceramic vase. 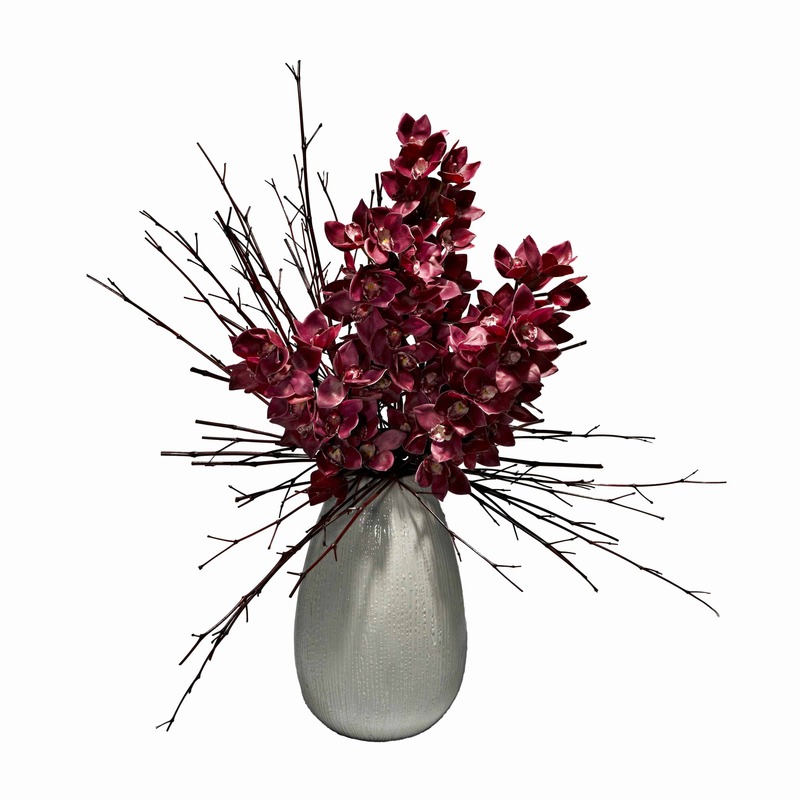 Dogwood branches create a sharp and striking look adding to the richness in shape and colour of the genuine effect silk orchids. 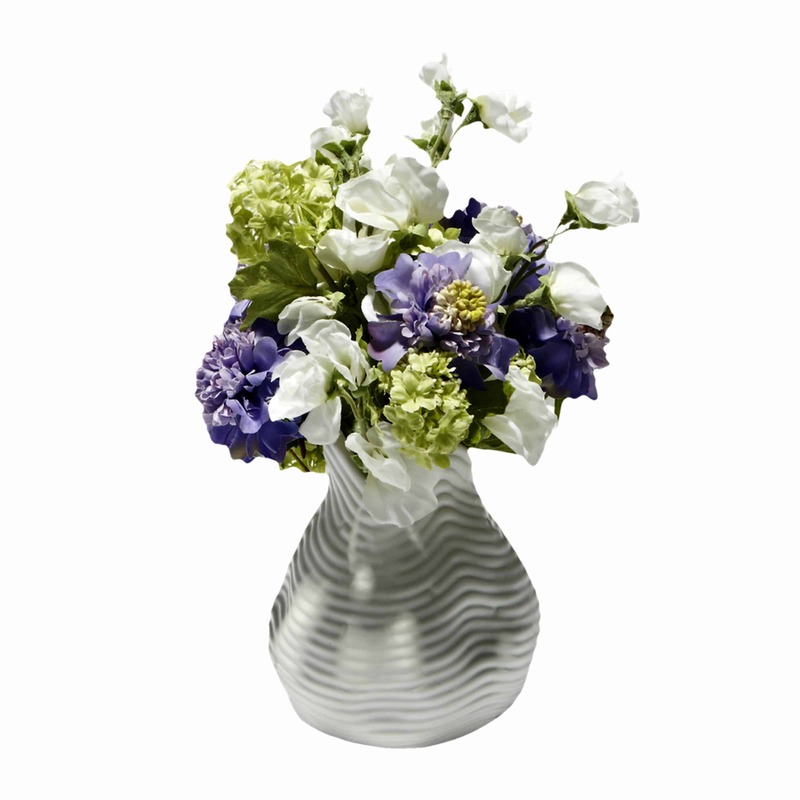 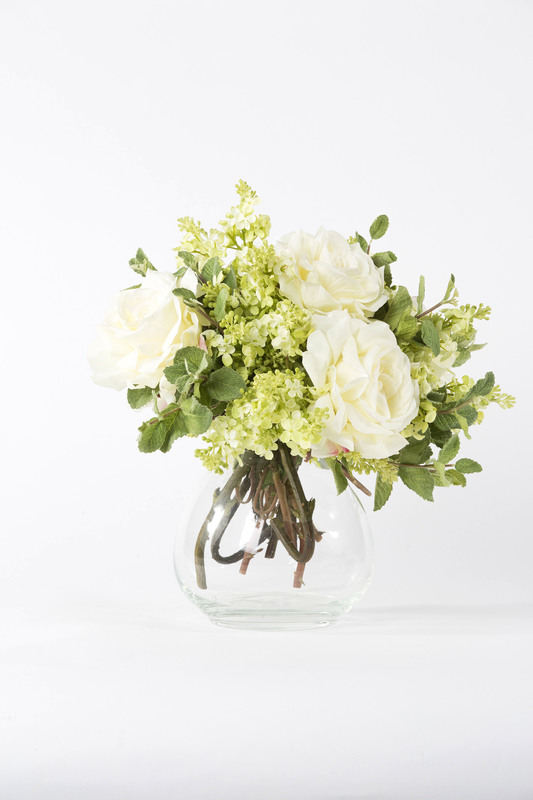 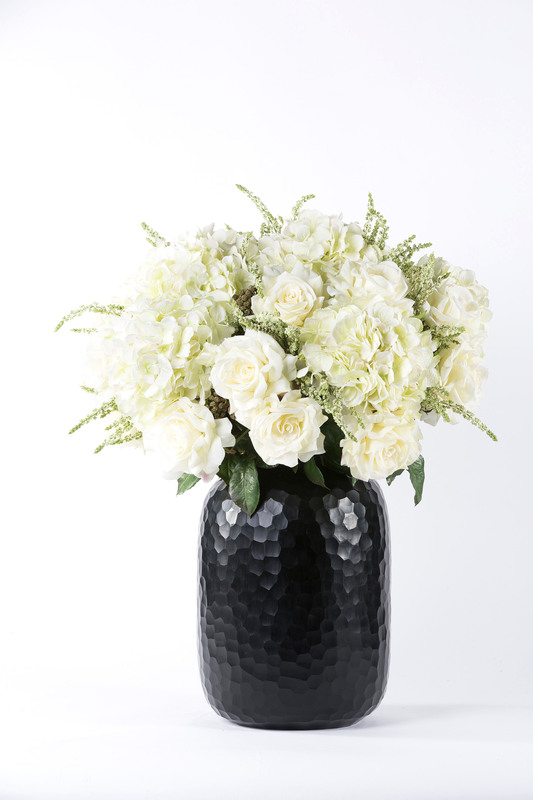 The soft white, almost creamy vase is carved on the outside complementing the edginess of the dogwood in chic contrast to the exquisite orchids.